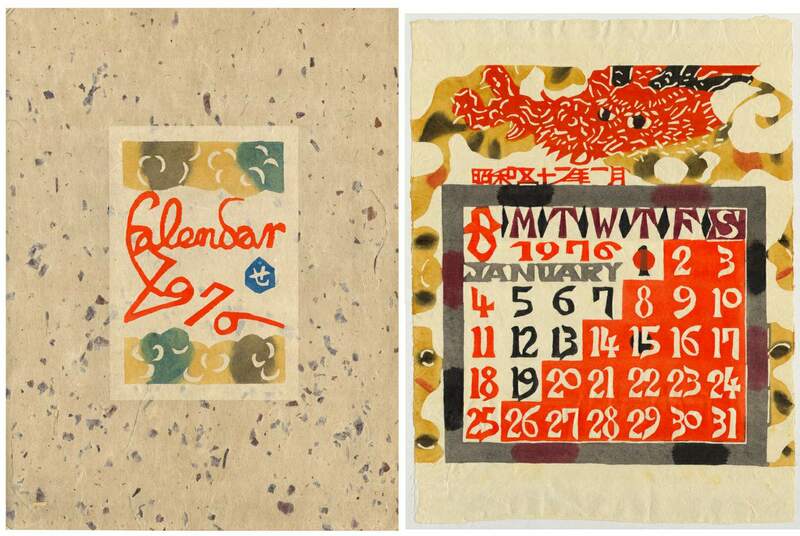 Keisuke Serizawa produced kataezome calendar folios starting with calendar year 1946. 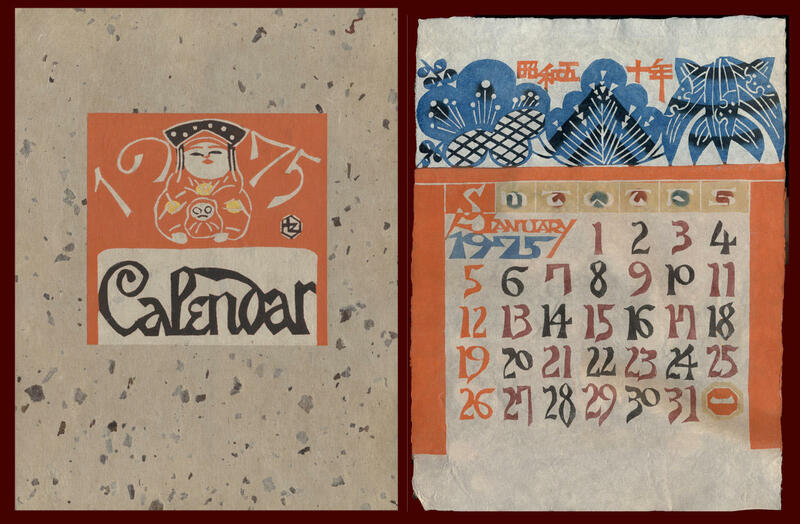 The 1946 calendar is shown in the catalogue for the 2001 exhibition of Serizawa's work held in Scotland. 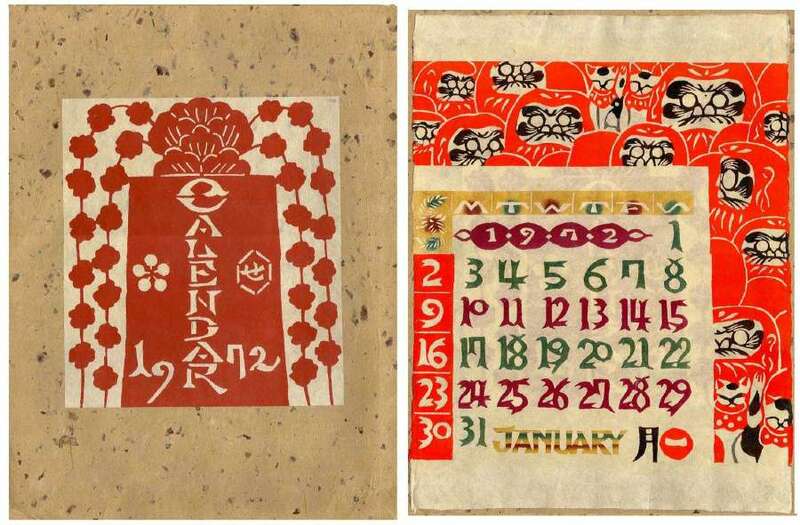 These calendar sets (one page for each month) are stenciled on handmade untrimmed Japanese mulberry paper. The page size is generally 28.6 x 37.2 cm - 11 1/4 x 14 1/2 in. 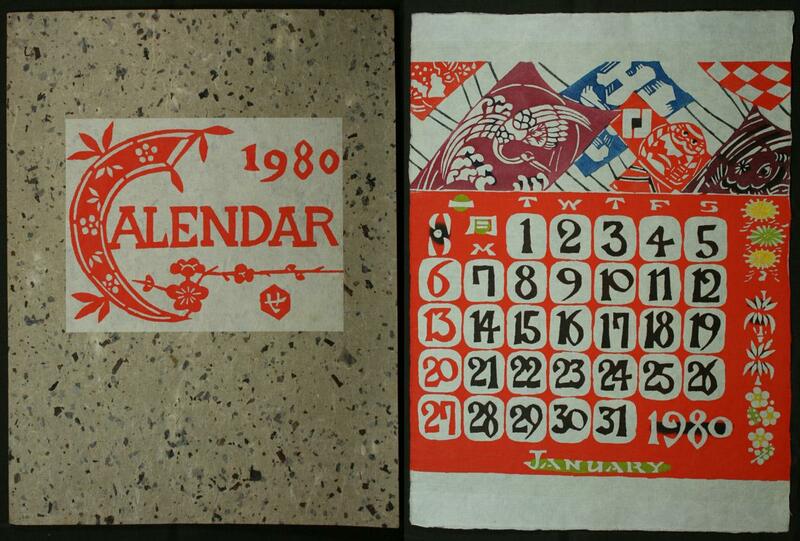 They usually contained in a mulberry paper sack or thick cardboard (also mulberry paper) folding case. 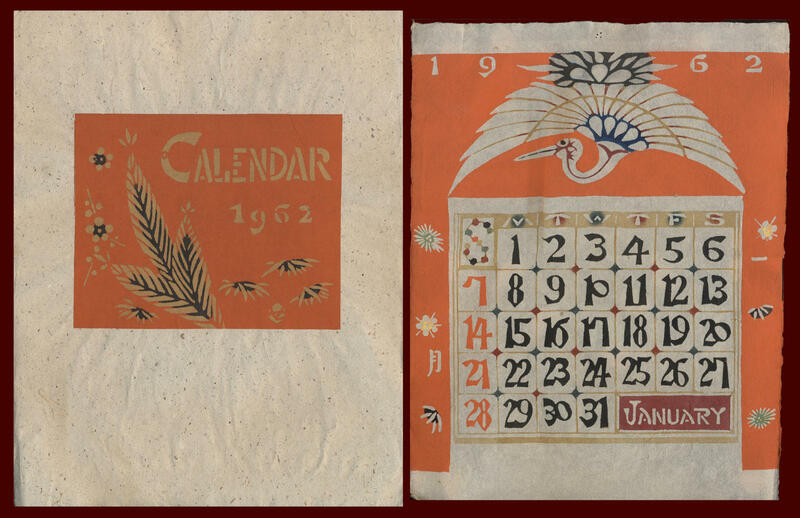 On the front of the sack or folding case is pasted on a illustrated stenciled label with the year of the calendar. These labels are rectangular. 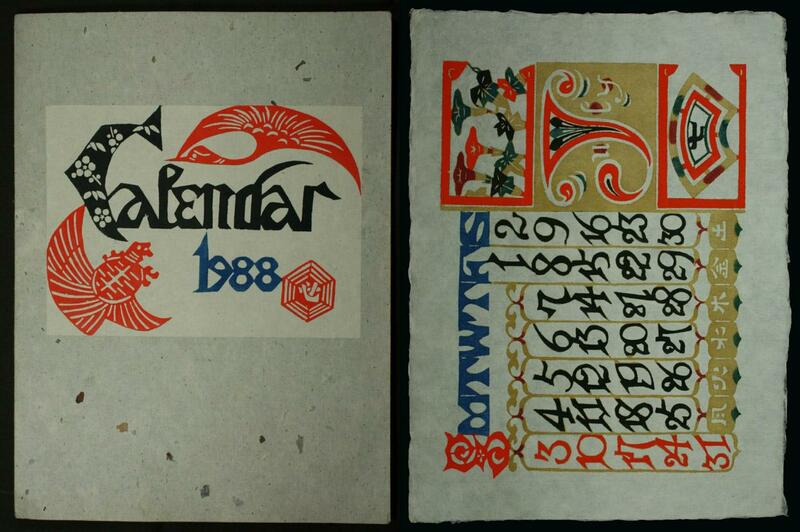 In addition to illustrations, they contain the year and the word "Calendar" (spelled correctly). 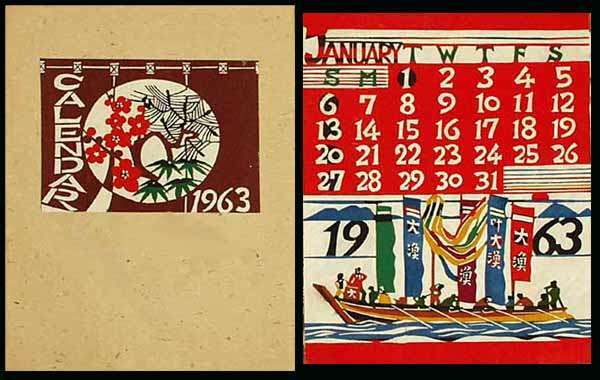 For an undetermined number of years (1959 confirmed) Serizawa produced small kataezome desktop calendar sets on trimmed mulberry paper. These measure 9.1 x 14.1 cm (3 5/8 x 5 1/2). The covers (front and back) are medium thickness card stock while the internal 12 month pages/prints are trimmed mulberry paper. The ink from the kataezome process bleeds through the paper and can be seen on the back of each print/month. There are two loop ties at the top and each print has 2 corresponding rectangular openings so the pages can be folded back to display the next page. 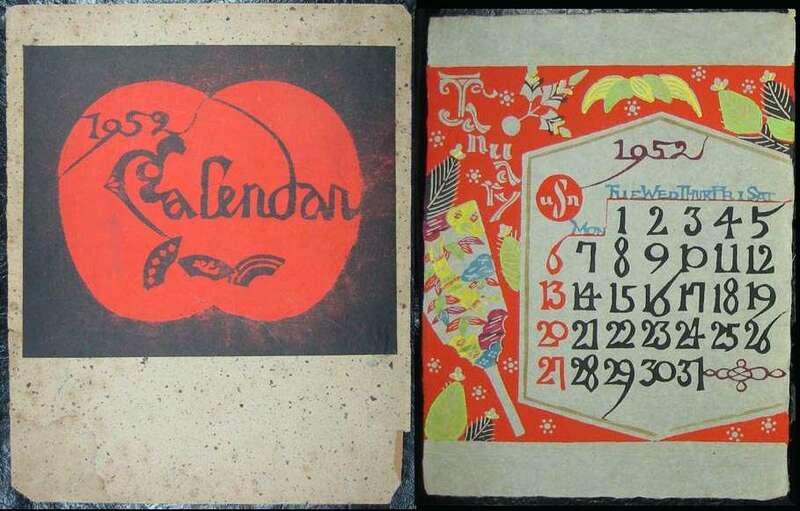 The back cover has an extension with a tab that can be used to close the calendar by inserting the tab into slits on the front cover or make a standing calendar by folding back the front cover and inserting the tab in the same slits. 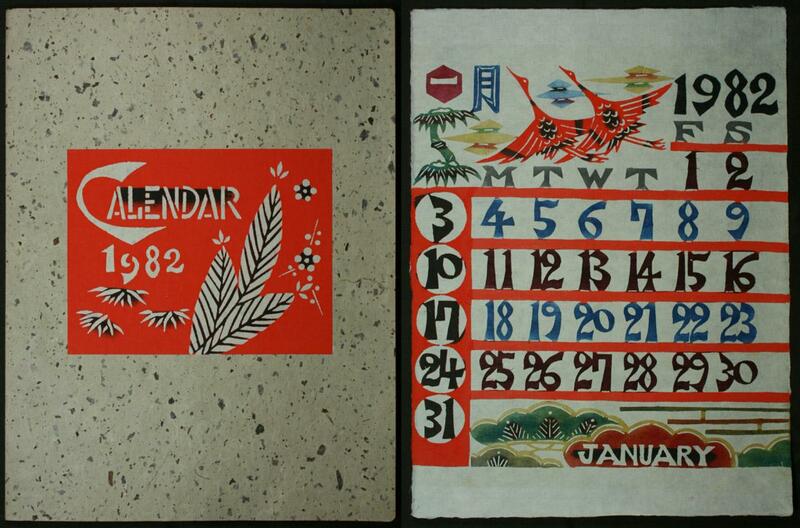 I have seen similar desktop type calendars which were not handmade using the kataeaome technique. 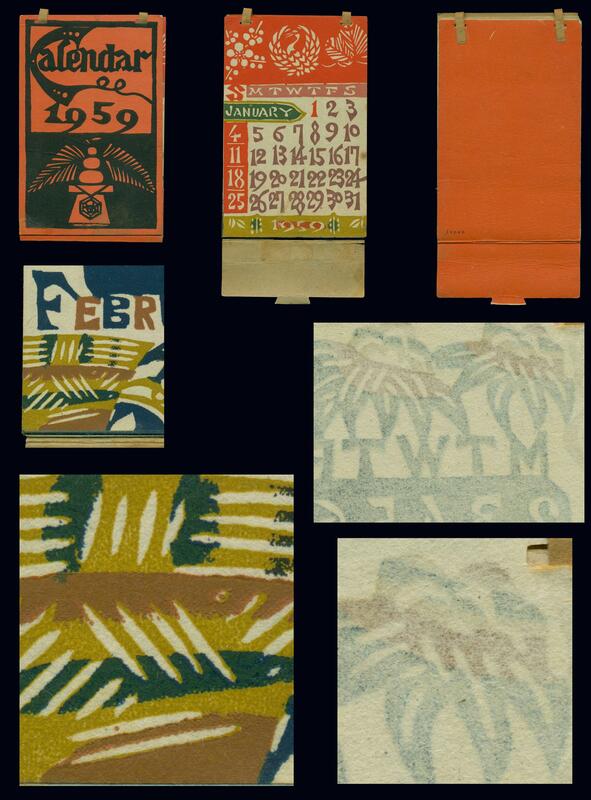 These were produced by photo-mechanical printing processes. 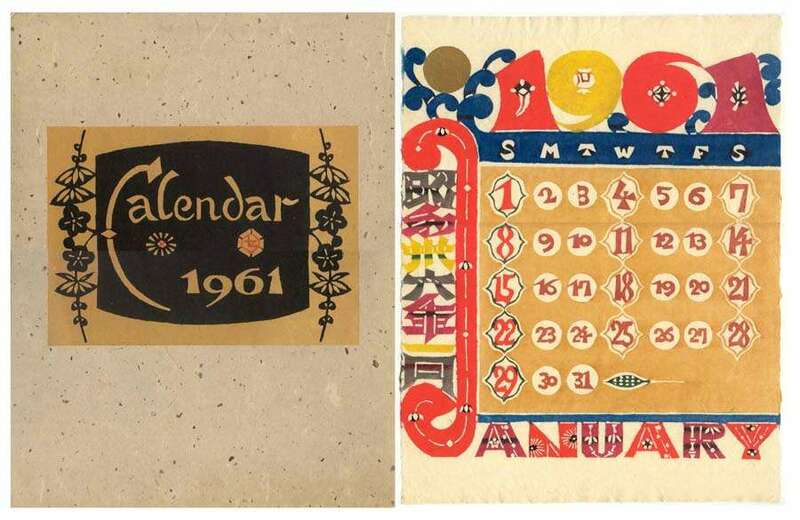 To see pics of the 1959 desktop type calendar here. 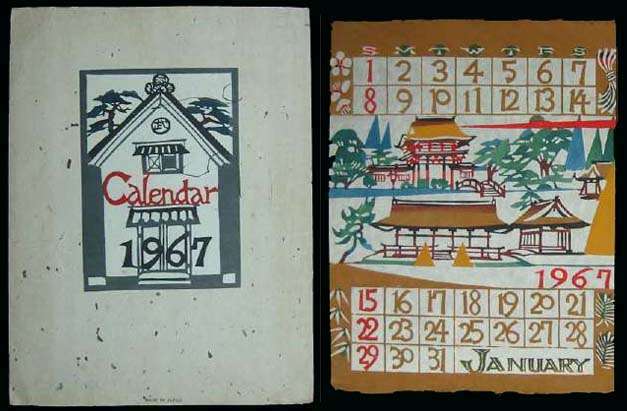 I believe that K. Serizawa calendars can be distinguished from other similar calendar folios by Japanese characters within a hexagonal design found on the label on the sack or folding case (see "Serizawa Marks" below). 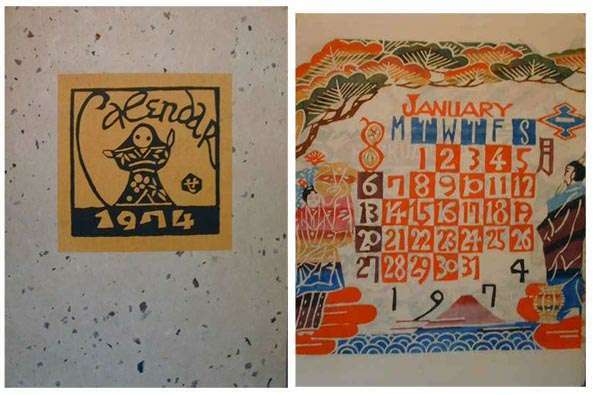 However, the absence of such a mark does not mean a calendar folio was not produced by Serizawa. 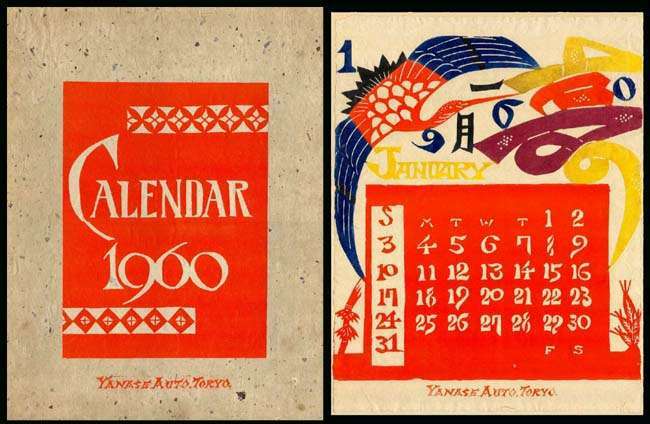 In some instances it is possible to attribute a calendar folio to Serizawa by notes on the sack or folding case or through inserts placed loose inside the folio. I have not identified the Serizawa mark on any individual calendar. Serizawa calendars and other items are available for purchase and are listed below. 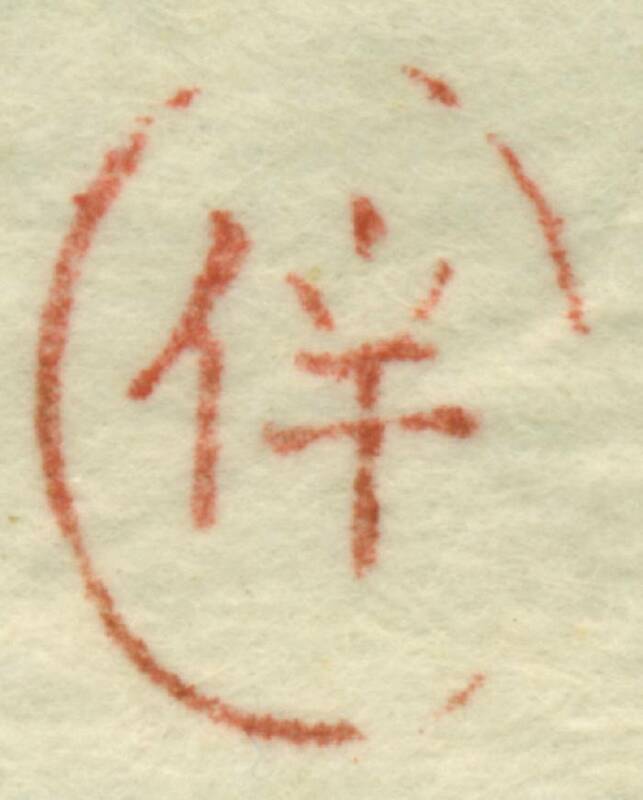 The seals (han) below are found on art on paper (not calendars however) attributed to K. Serizawa. 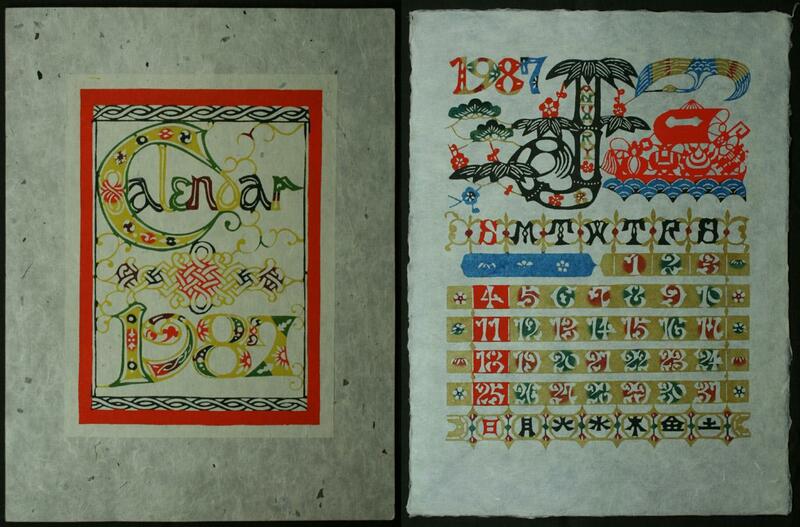 The Japanese characters below are frequently found on textile art (not calendars) produced by Serizawa. I believe this is "Serizawa" reading the characters from right to left. Serizawa mark appears on the sack/folding case paste-on. "C" in the word calendar is often (not always however) very large in relation to the rest of the letters (ie x5 larger). 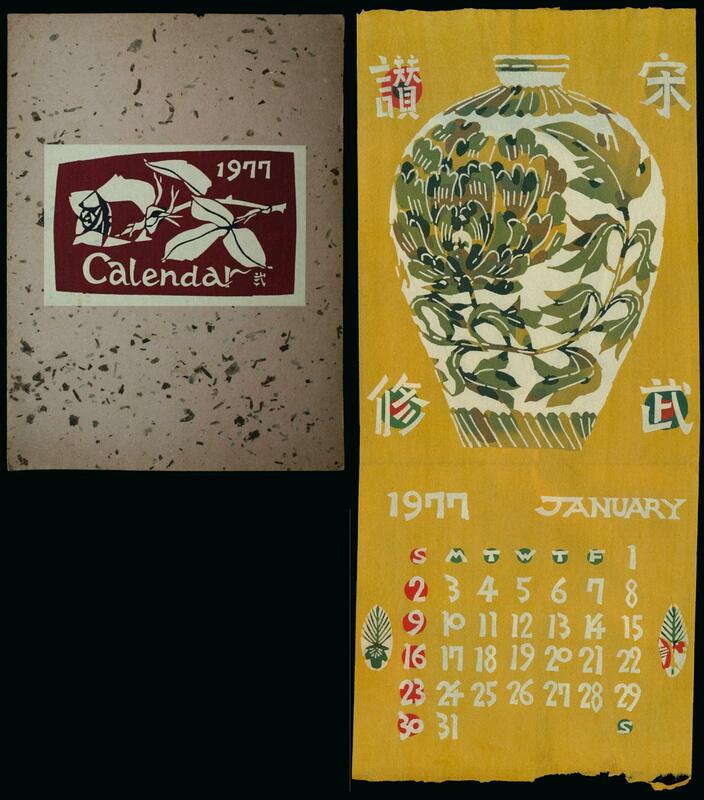 Individual calendar size: Generally - 28.6 x 37.2 cm - 11 1/4 x 14 1/2 in. 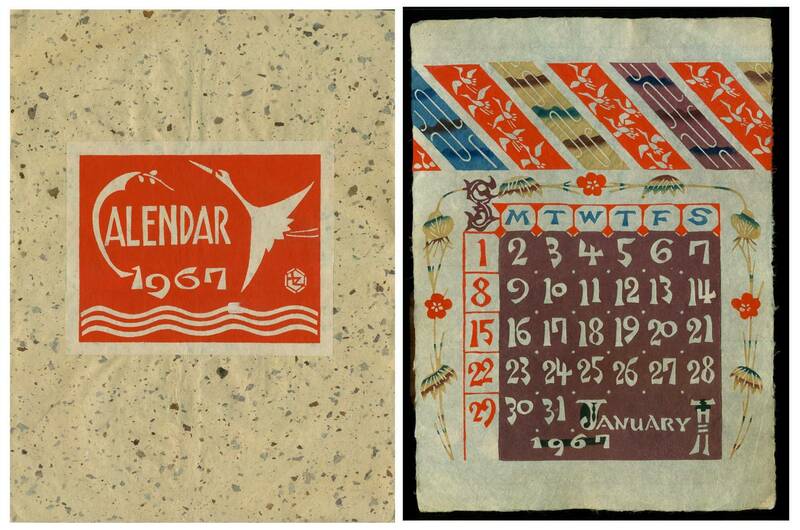 The 1956 calendar is an exception. Sack or folding case size: Generally - 29.9 x 38.8 cm - 11 3/4 x 15 1/4 in. 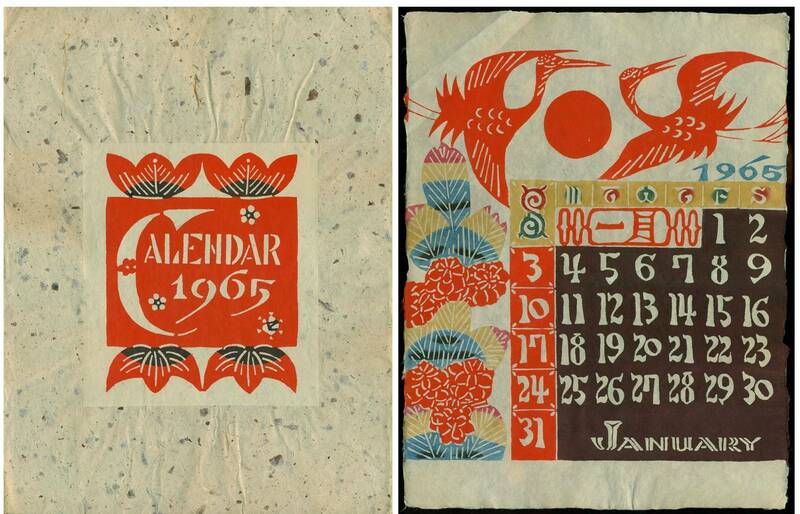 The 1956 calendar is an exception. 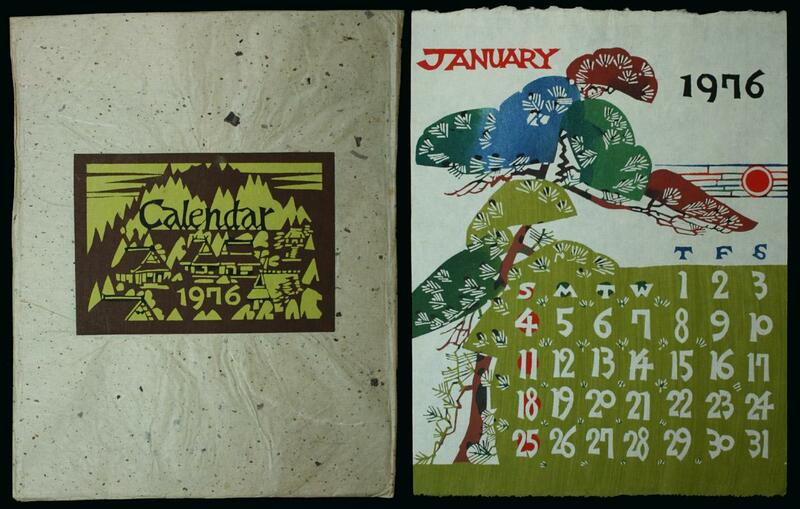 Year appears only on the January calendar (appears not to be the case with the 1946 calendar which has no year on any of the calendar pages). 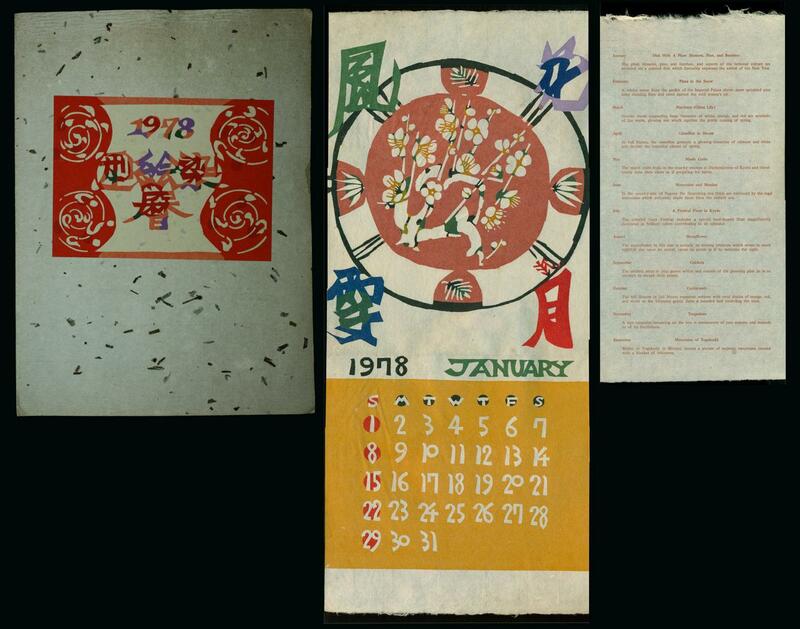 Month appears in English on all calendars and almost always is stated in Japanese numbers incorporated into the design. No Serizawa mark but sometimes accompanied by note. 1960 - "Yanase Auto Tokyo"
No Serizawa mark but accompanied by note. 1961 - "Shinwa Trading Co. LTD, Tokyo & Osaka"
Keisuke Serizawa Died in April of 1984. His Studio Continued to Publish Colanders. 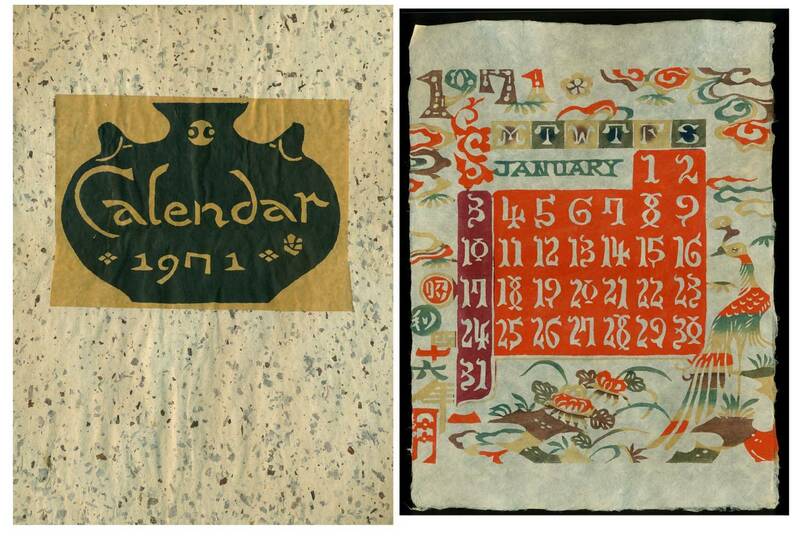 Matching/Repeating Calendars. Sometimes customers are looking for a calendar for a specific year. If a calendar for that exact year is not available, they my want to obtain one that matches/repeats the sequence found in that calendar. Except for leap years, calendars repeat every 6 or 11 years. Leap year calendars repeat every 28 years. 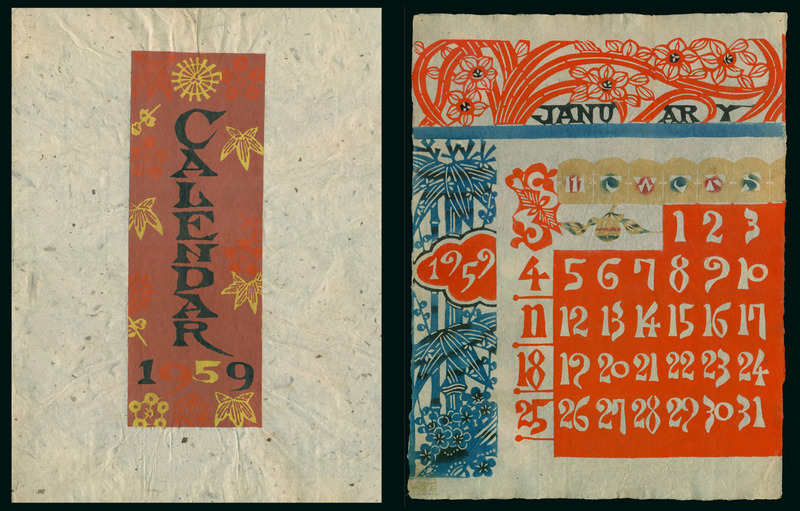 A repeating/matching calendar is one where the first of January starts on the same weekday. 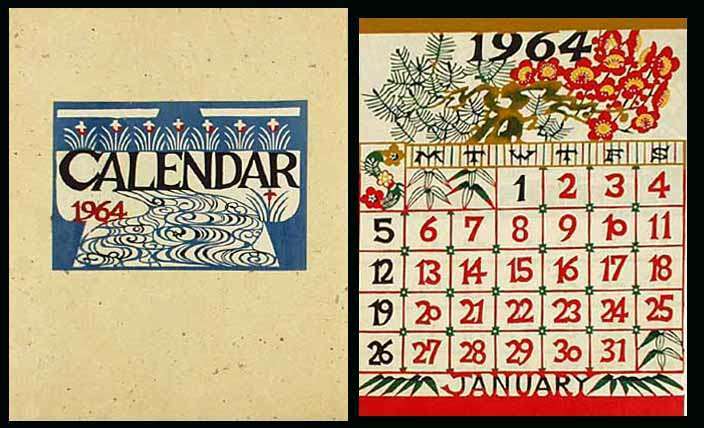 For example, the calendar for 1957 is repeated in 1963, 1974, 1985, 1991, 2002, 2013 and 2019 calendars. Except for the year, they are all the same. For a chart showing matching years from 1946 to 1984, click here. This is general information and not specific to Serizawa calendars. 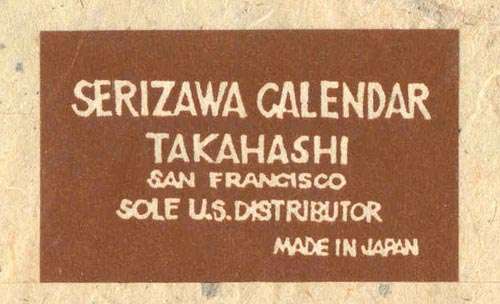 All Serizawa calendars are unique. 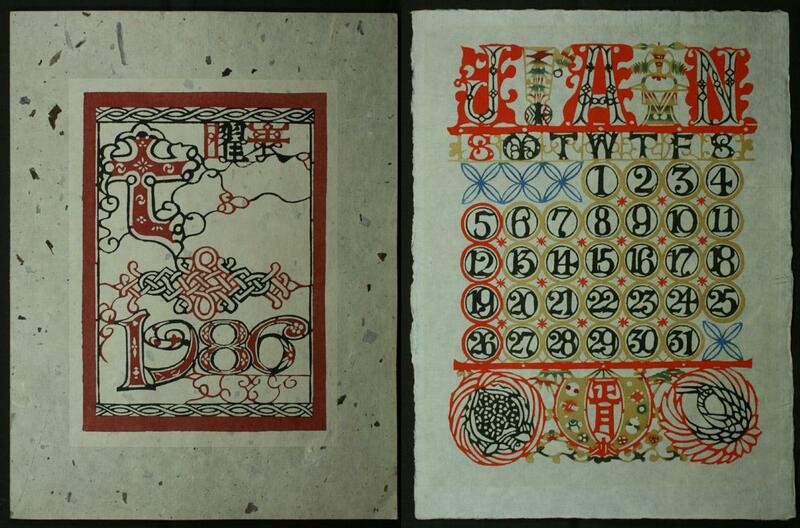 Even when they repeat the day sequence found in earlier or later calendars, the illustrations are always different. 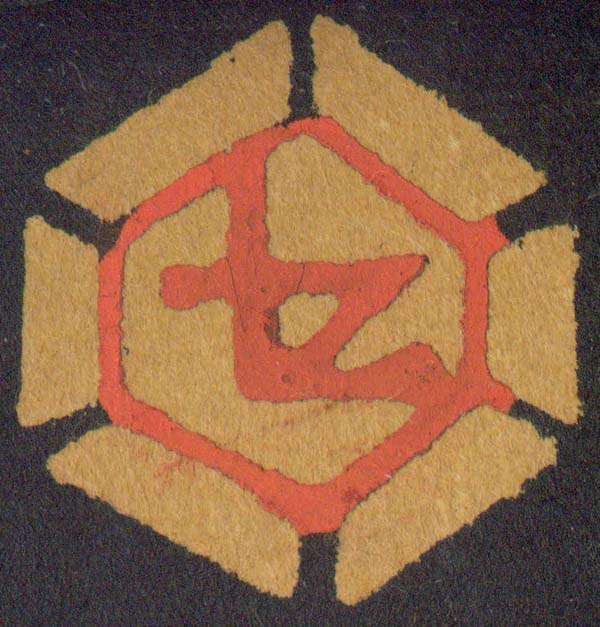 Using a stencil, areas to be left uncolored are covered with a dye resistant starch paste (nori tsuke). Colors are then applied by dipping or brushing, generally from lighter to darker colors. 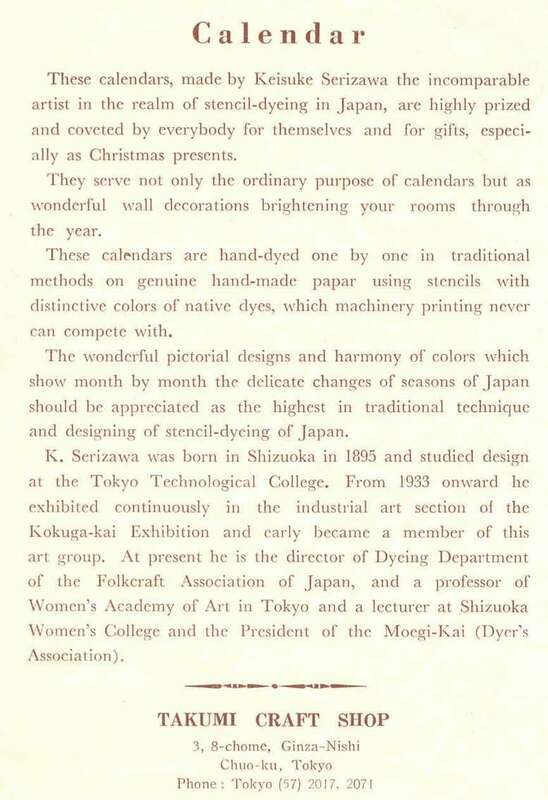 Serizawa generally used traditional vegetable dyes and seldom used chemical dyes. After these colors have dried, the key design (key stencil) is used to apply the main design (iro sashi). The paste is washed off (mizu ari) and the material dried in the sun (harika). A brochure describing the stencil-dyed paper process published by the Takumi Craft Show, Tokyo, is here. An interesting aspect of this process is the use of every day items. For example, the dye resistant paste was generally made from boiled rice (combined with lime). The inks (generally vegetable dyes), particularly black were mixed with tofu water, a by-product in the making of curd from soy beans, to give richer color and indelibility. Serizawa was a leading member of the Mingei (folk craft) movement founded in 1926 by Soetsu Yanagi, Shoji Hamada and Kanjiro Kawai. The Serizawa Keisuke Art and Craft Museum at Tohoku Fukushi University in Sendai has a large and specialized collection of his work. 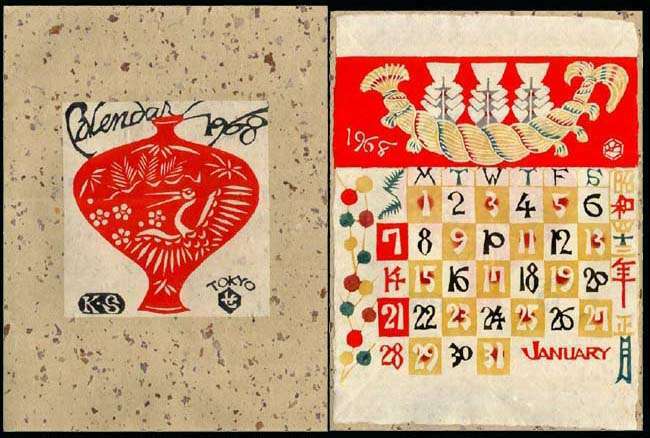 The Mingei International Museum of Folk Art located in Balboa Park, San Diego, California, has an important collection of works by Serizawa. 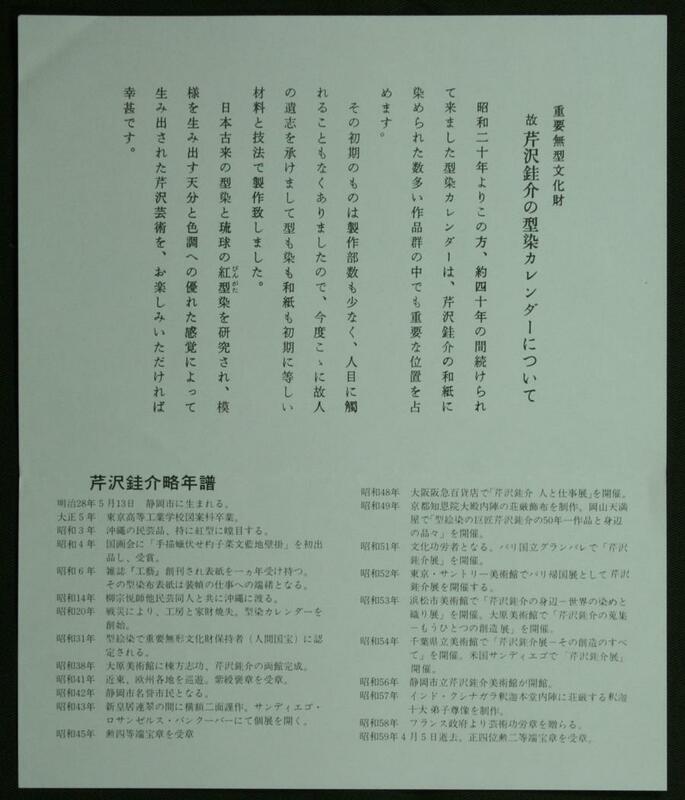 Serizawa also donated several items to the museum which were not his own works but of important cultural significance. 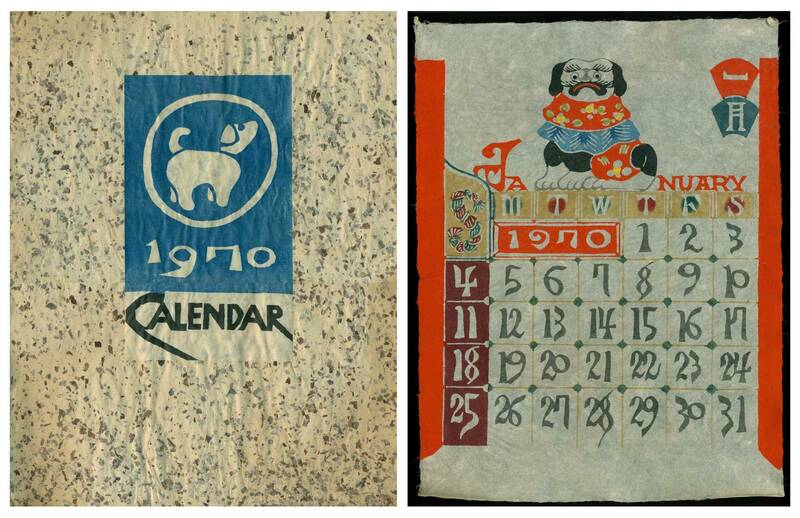 Serizawa Calendars. 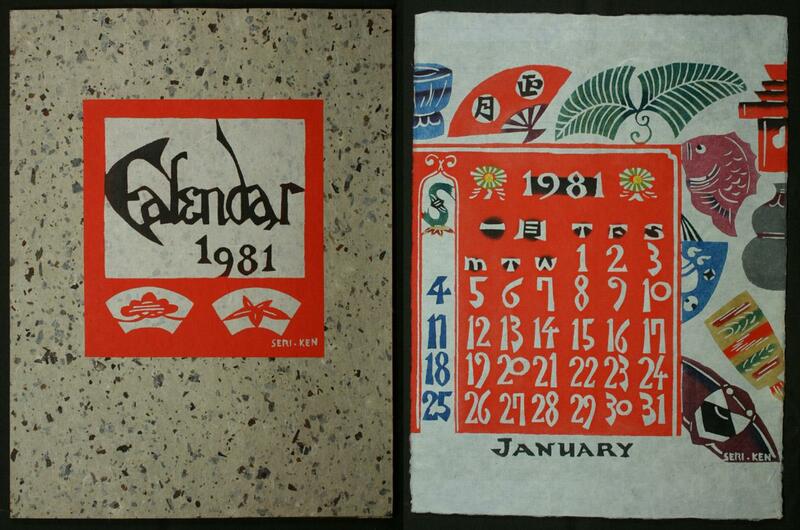 For information on Serizawa calendar folios, click here. Keisuke Serizawa has produced numerous masterpieces in illustrated books sometimes in Japanese and other times in contemporary western style, including Don Quixote, Vincent Van Gogh, A Day at Mashiko, Ainu Art and Butsuge (poems of Soetsu Yangi). Over three hundred limited editions reveal his vast knowledge of human psychology as well as of the natural world and are highly prized among collectors. 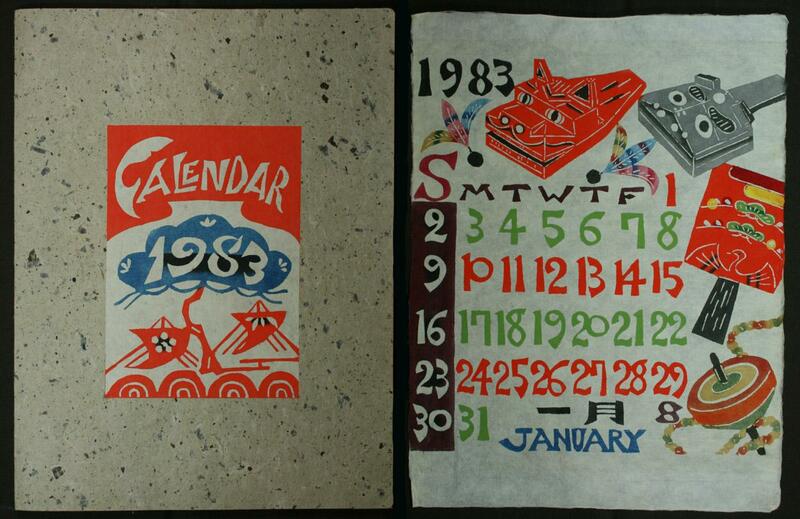 1979 Mingei Catalogue at page 9. Despite the fact that numerous books were apparently produced, they are seldom seen. I am aware of the following books. 1936, Ehon Don Kihote (Don Quixote Picture Book) or Don Quixote a La Japonaise, Mukomachi (near Kyoto), Sunward Press, Bunsho Jagaku, proprietor, October 1936, large 8vo (8 1/4 x 11 1/4 in - 20.9 x 28.7 cm), text in Japanese only, high quality Japanese paper in folded sheets, kangxi Japanese style binding, illustrated covers, spine not covered except for 1 inch at the head and foot, 31 illustrations (28 double page illustrations and 3 single page), 34 folded pages for a total of 68 pages. For more information on this book, click here. 1948, Okinawa Fubutsu (Views of Okinawa). For more information on this book, click here. This book is available, see below. 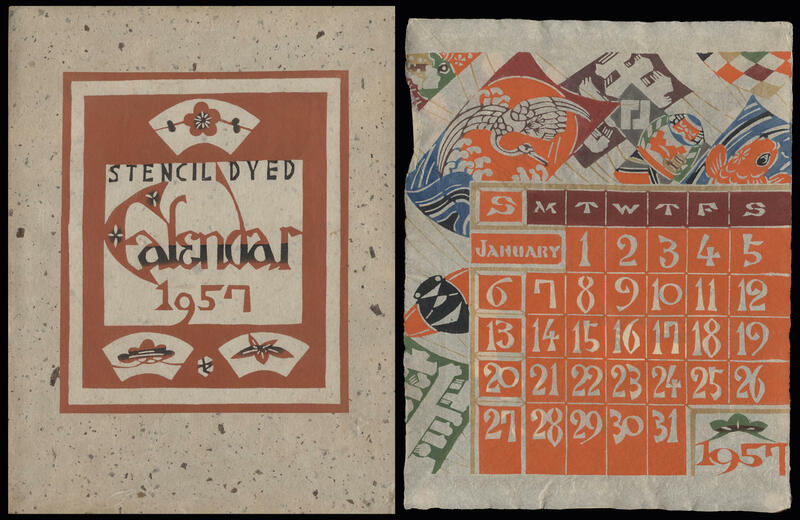 1943, Ryukyu no Katatsuki (Ryukyuan Prints), Kyoto, Kyoto Shoin, 15 pages with printed cloth samples, 8 photographic illustrations, 11 illustrations of paper stencils, 13 drawings of the textile printing process 67 pages of text. 1950, Kami-wo Tsukuru Hitotachi (Papermaking), privately printed in edition of 50 copies, Showa 25 (1950) 28 x 30 cm, 7 pages of katazome prints, paper wirts with printed title label. 1954-1962, Keisuke Serizawa's Katazome Shohin Shu (K. Serizawa's Katazome Collection), 4 volumes (No. 1, 2, 3 & 4), published by Moriguchi Taro, Osaka, limited edition books (No. 1 - 100 copies, Nos. 2-4 - 200 copies). For more information on this set, click here. No. 1 and No. 2 are available, see below. 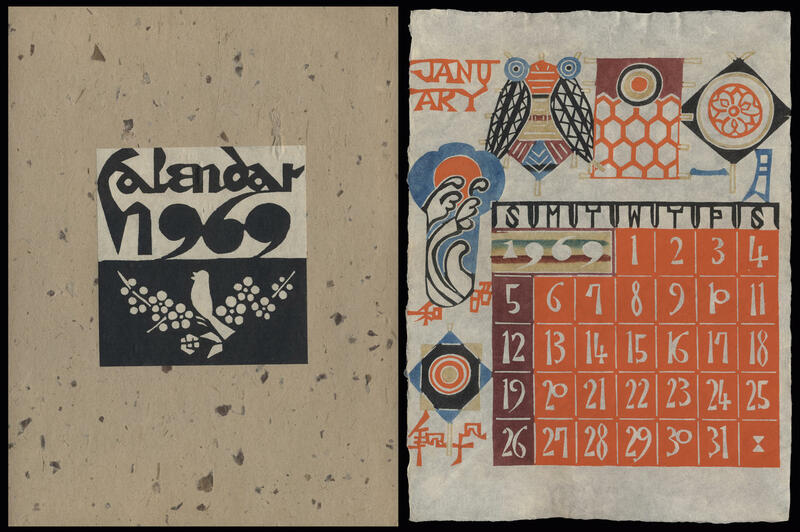 1967 & 1968, Keisuke Serizawa, The Stencil Artist, Volume 1 and Volume 2, Tokyo, Tsukiji Shokan Publishing Company, Ltd, distributed by Maruzen Co. Ltd, 1967 (Vol. 1) and 1968 (Vol 2), large 8vo (9 x 11 1/2 in - 22.8 x 29.2 cm), tan (Vol 1) and red (Vol 2) textured cloth with gilt decoration on covers and gilt decoration on covers and gilt lettering on spine, issued with cardboard slip cases but no dust jackets. The volumes read Japanese style from back to front except for the pages in English which read front to back. The volumes are unpaginated but the number of pages in both volumes is approximately 264 pages (118 pages in Vol 1 and 146 pages in Vol 2). There are a total of 352 images (22 color and 330 black and white). In this work "plates" are the same as images. The color plates are tipped in and were produced utilizing the color halftone process. The black and white plates are produced by the halftone process also. Many pages have more than one image ("plate") per page and some images span two pages. Each image is assigned a number and has a descriptive caption in Japanese. Several of the images are related to Okinawa. Both volumes have an attached ribbon marker. 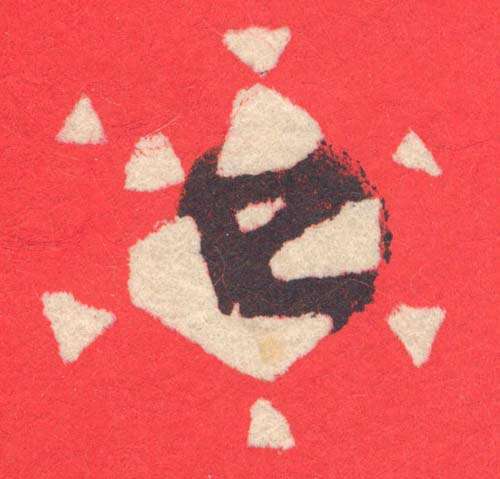 Each colophon has a small stencil illustration which probably was the work of Serizawa. For information on this set, click here. Volume 1 and 2 are available, see below. 1934, Lafcadio Hearn, Letters from Shimane and Kyushu, Kyoto, The Sunward Press, 1934, limited edition of 100 numbered copies privately printed for Dr. Sanki Ichikawa, laid paper, 8vo, 71 pp. 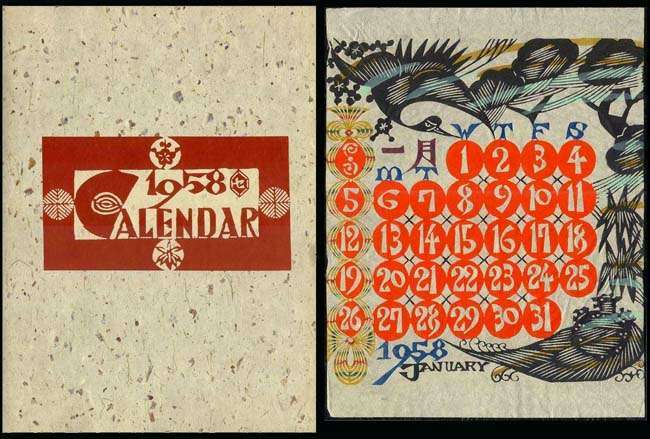 Cover is a stenciled design by Keisuke Serizawa. 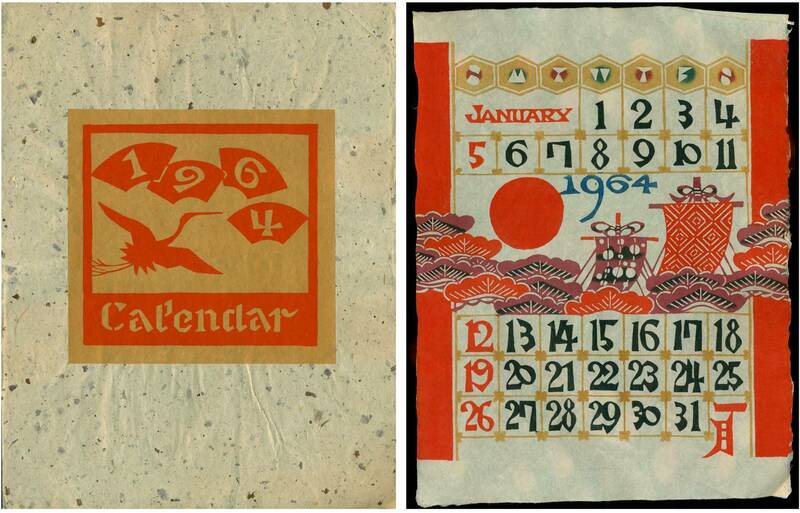 1952, Tindale, Thomas K. & Harriet R., Handmade Papers of Japan, Rutland, Tuttle, 4 volumes. Preface by Dard Hunter. Eight endpapers with stencil illustrations by Keisuke Serizawa. 1964, Haruo Sato, Bunka no Hangyaku (Revolt of Cultures), published in the Geise Shimbun. 1976, Serizawa, Paris, Grand Palis, 24 x 24 cm, soft cover, 122 pages. 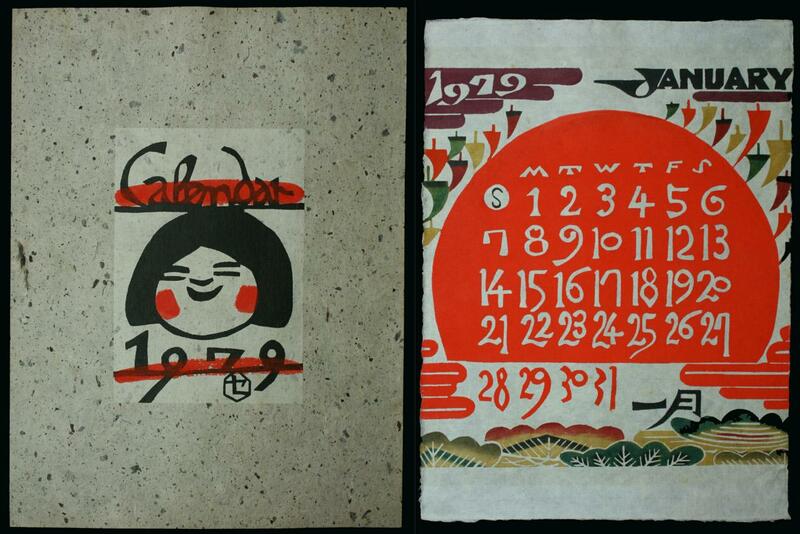 Exhibition of Serizawa art from November 23, 1976 - February 14, 1977. 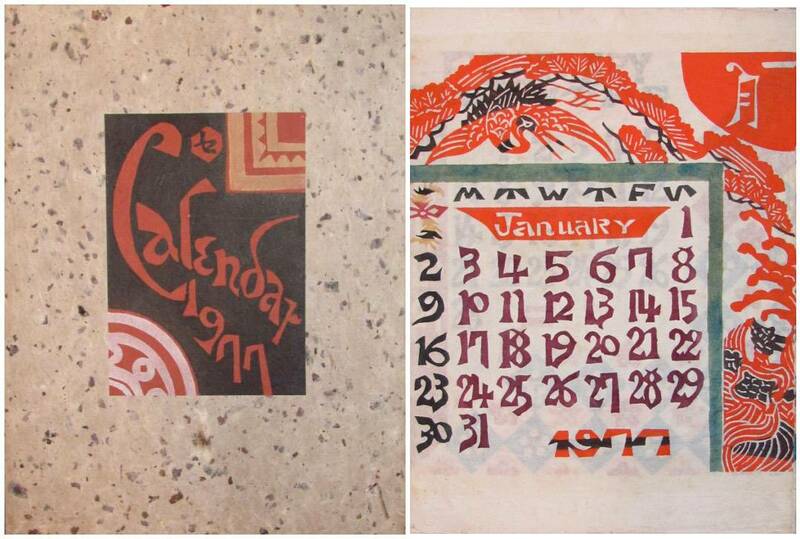 1979, Keisuke Serizawa & Martha Longenecker, Keisuke Serizawa, La Jolla, CA, Mingei International Museum of Wold Folk Art, oblong 8vo (9 1/2 x 8 1/2 in - 24 x 21.5 cm), soft covers, frontispiece photograph of Keisuke Serizawa, numerous color and black and white photographic illustrations, 46 pp. 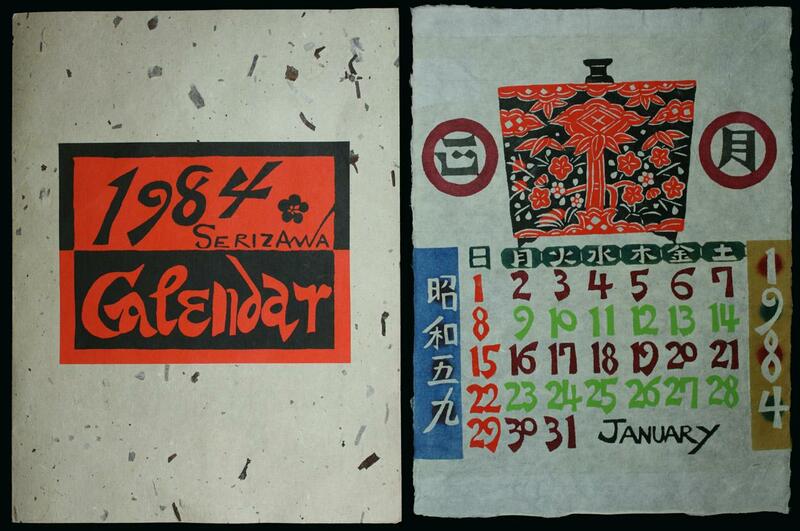 Catalogue for an exhibition of Serizawa's art held at the Mingei Museum from June 23 to October 14, 1979. Includes an illustrated discussion of the artist's stencil art techniques. Also includes a detailed "Biographical Notes" section on Serizawa. 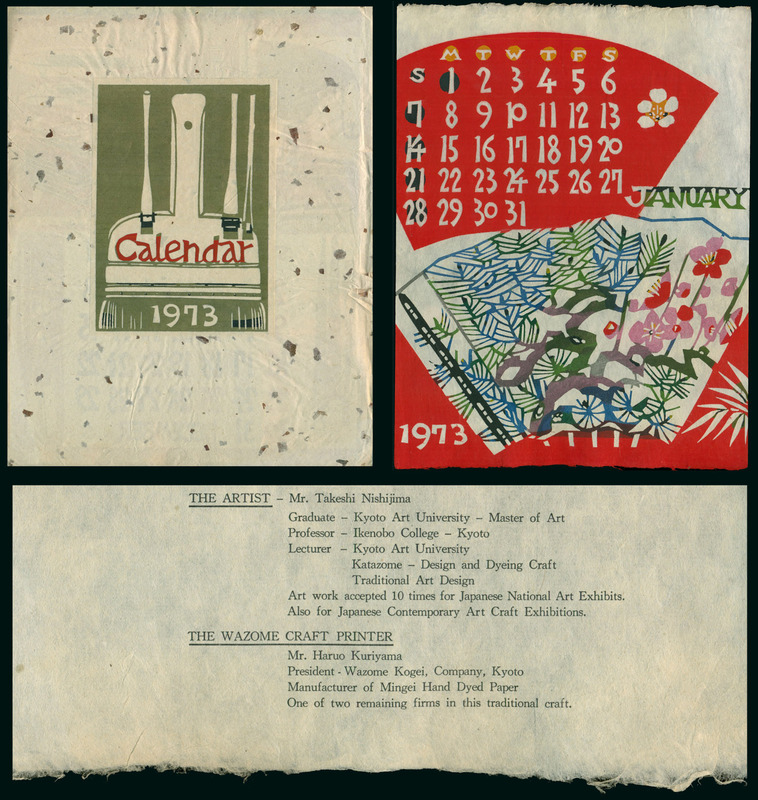 The catalogue lists all exhibits and pictures several, many full page and in color. Items include images for the artist's illustrated books, kimonos, obis, screens and norens (curtains).